This was selected as our summer holiday novel, with more time to get through a book this size - however, the heavy subject matter didn't make for a light happy beach read. A Little Life is 'a coming of age story' which follows the lives of four friends, Malcolm, Willem, JB, and Jude in New York, following their college graduation. The book had received rave reviews - but none of us had any idea of what was coming. Despite it being a beautifully written book, it was tough going. Our book group was split - some wished they'd never read it, and simply found it too confronting and unnecessarily traumatic. Yet others found that it was the kind of book that you couldn't put down, despite the turn of events. This was a book that touched each of us, and generated a lot of discussion. If you read it, you won't forget it. 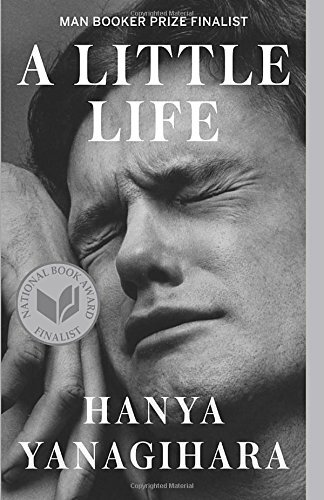 This book left us all feeling quite emotional and eager to discuss. It was also our post summer holiday catch-up, so we needed a venue that would allow some privacy and be quiet enough for our in-depth discussion and Summer debrief. This is a favourite pub/restaurant for our group. Long gone are the days of the run-down Dover Hotel playing live music: Bouzy Rouge has been elegantly transformed into a grown-up restaurant, serving some of the best Portuguese and Spanish dishes in Melbourne. The classic favourites - Croqueta, Calamares and the Chorizo - are absolute winners. We ordered both the Paellas, and it was hard to decide which was the favourite. The Ensalada de Tomate was simple but absolutely mouth-watering, with the buffalo mozzarella just exploding in your mouth. It's great to see an establishment sourcing good quality produce. The dining room is comfortable and service is attentive. No surprise that this is a local favourite and is somewhat becoming an institution.